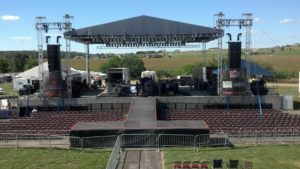 Event Equipment & Services in Nebraska | Sure Sound & Lighting Inc. Audio is one of the most important portions of production. It is important to not only have a quality PA, but all the necessary equipment to go along with it. 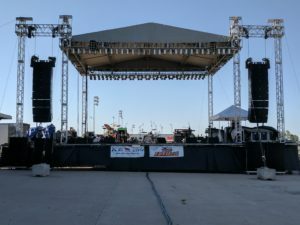 We are happy to offer a wide variety of sound options for every event, from a small parking lot show to a big outdoor festival. Some of the brands we carry are d&b audiotechnik, Electro-Voice, Shure, QSC, Sennheiser, Midas, Yamaha and Avid. In our 35 years in the industry, we have seen lighting options grow and change with technology advancements. We are constantly updating our selection of lights to reflect the ever changing demands and needs of our customers. 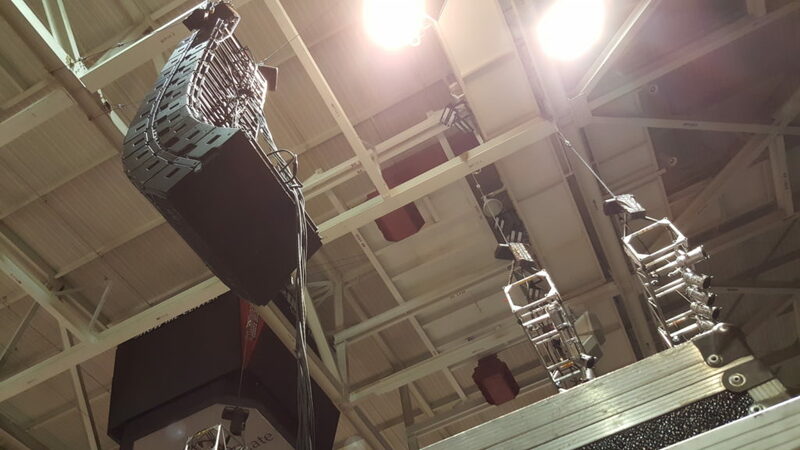 We offer a wide variety of lights from all the top manufacturers including Vari-Lite, Martin, Elation, ETC and More. 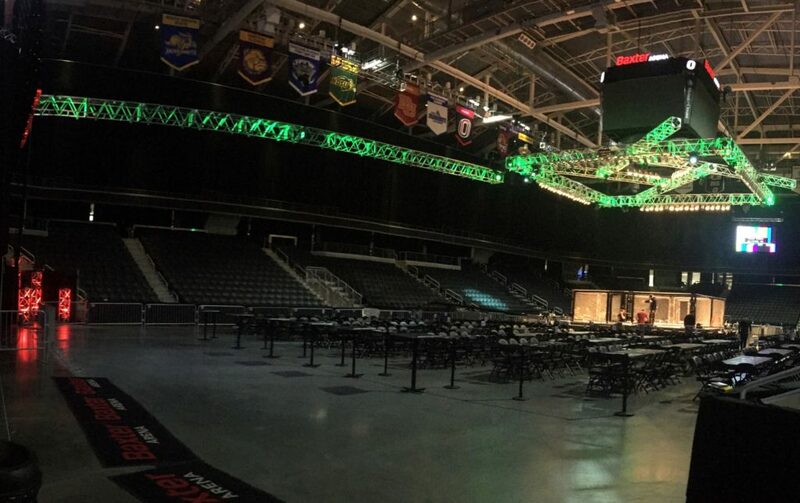 Call us to discuss how different lighting options can make a big impact on your event. We are one of the largest providers of stick roofs in the area. 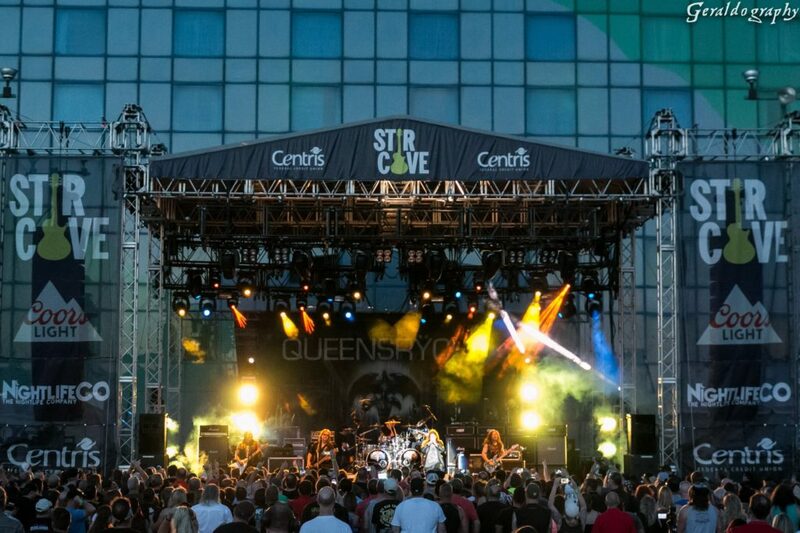 We have a selection of different roofing options to choose from to meet any requirements from the small one band show to the large multi band events. Please take a moment to look at the selection we provide below. Hover over each picture to see more details on a computer, or click the picture if you're on a mobile device. We have a large inventory of rigging supplies to meet the needs of almost any set up. We offer chain hoist from CM in the 2, 1, ½ and ¼ ton options. We have many different control options to best suit most event requirements. All motors are serviced in house by CM trained technicians to ensure the highest quality. In addition to motors, we offer a wide range of trussing to make any idea come to life. We are proud to offer trusses from Tyler Truss and James Thomas/Tomcat. We carry a variety of staging components for countless options. We can build on almost any surface and on most grades. 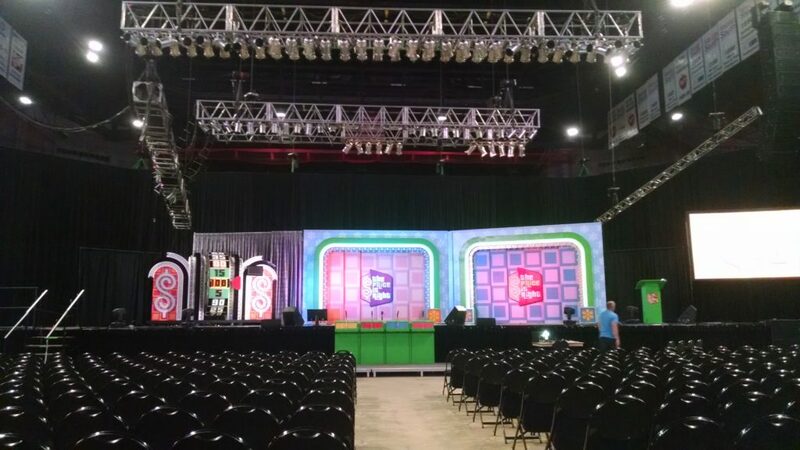 We have stage heights that range from 6 inches to 8 feet. 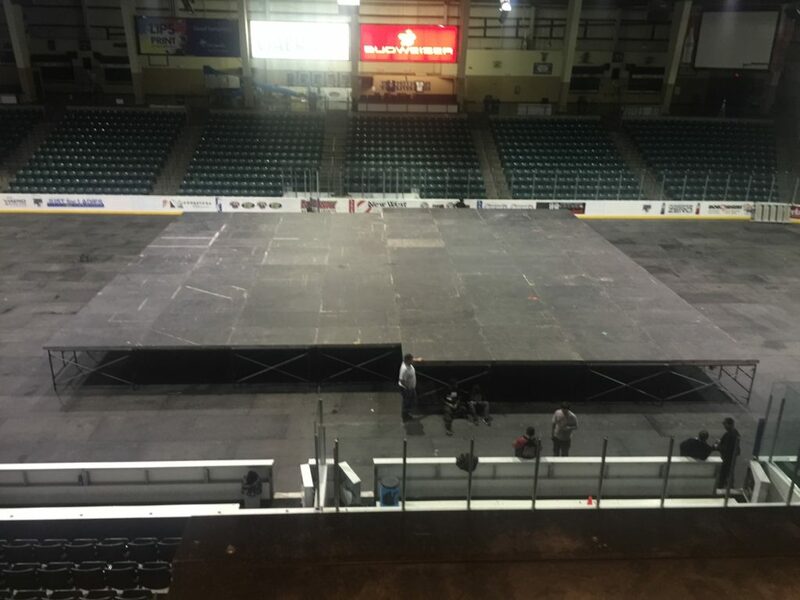 Safety is always a priority, so we have hand rails and toe boards for all our stages. Talk with a staging expert today about the options we offer that best suit your needs. The newest addition to our list of services is cost effective video solutions. 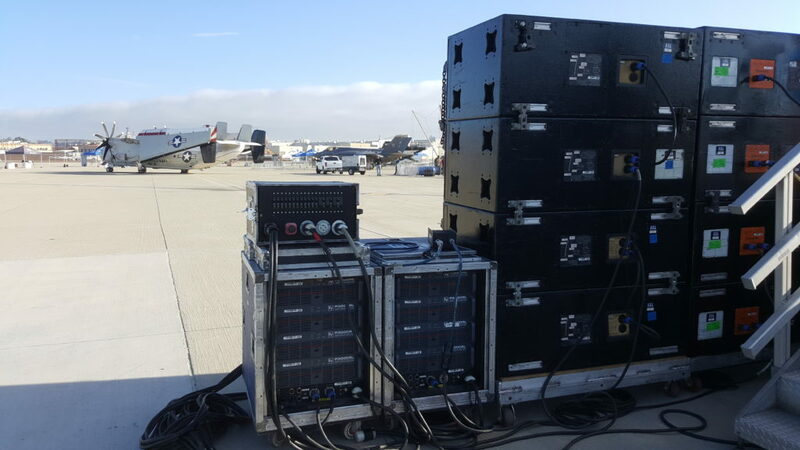 We have both trailer mounted and flyable video walls that can meet any venue or event needs. We regularly update our LED panels to make sure we have the best image anywhere. We are proud to be a Shawnee LED house. Contact us to learn how video can add revenue to your event! 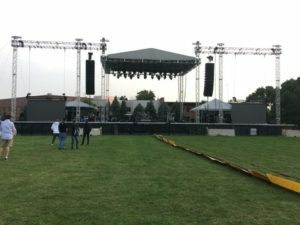 Keeping the artist safe is at the top of every event planner’s priority list. To make your job easier, we have two different options for crowd control. 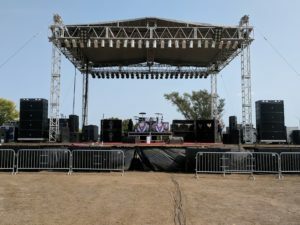 The first is blow through concert barricades that are custom built for us and can curve or bend at any angle. This gives us a step up on the competition as there is no need to special order parts or pieces to meet your needs, this ability is standard when you select the blow through barricades. 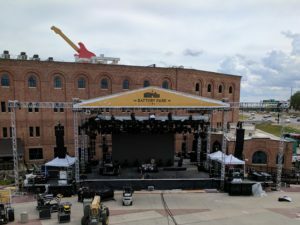 We also have optional steps to give your security team a little lift for larger events. The second option we provide is bike rack barricading. 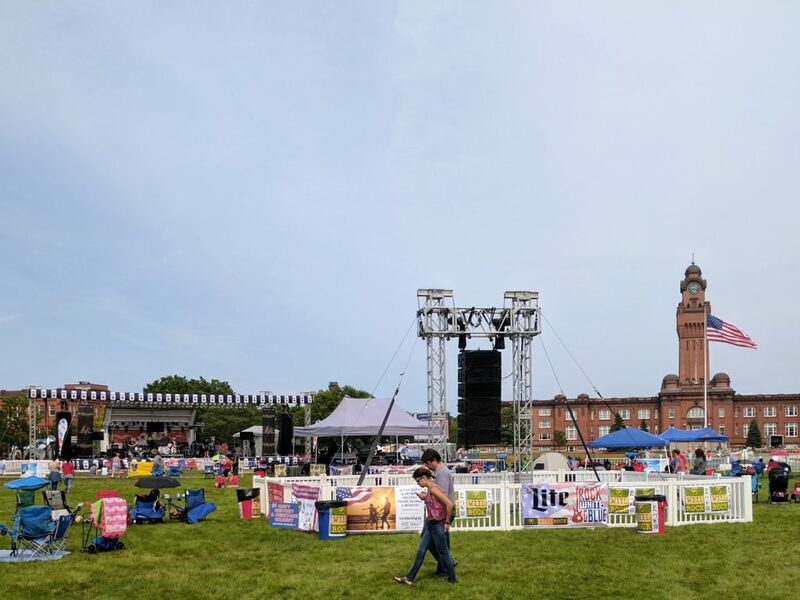 All the crowd control solutions we offer are black in color to give your event a clean look. Having everything to the show on time is important, not only to you but to us. We have a fleet of trucks ready to tackle any challenge. Our CDL certified drivers have been hauling shows and tour for over 30 years. We have a proven track record of being on time and professional at all times. With a great safety record, we make sure all drivers can pass a drug test and meet all DOT Standards. Call us today to see how we can cut your cost for transportation.